Bike tours in San Gabriel Valley and San Fernando, L.A. City’s Bicycle Advisory Committee, and BiciParranda. Tuesday 4/2 – The L.A. City appointed Bicycle Advisory Committee will convene its bi-monthly meeting tonight at 7 p.m. at Hollywood City Hall at 6501 Fountain Avenue. Details at meeting agenda or Facebook event. Saturday 4/6 – Relámpago Wheelery will host its monthly BiciParranda, raising funds for Bike!Bike! 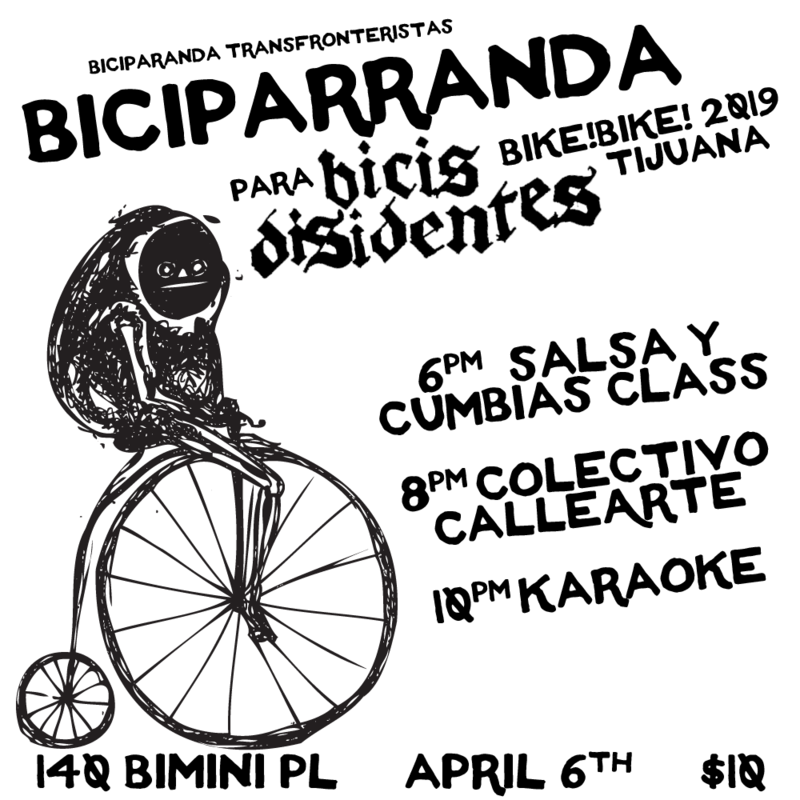 Tijuana2019 and Bicis Disidentes. The event gets underway at 6 p.m. with cumbia/salsa class, then dancing starts at 7:30 p.m. There will be a presentation by Angé and Cheko of Bicis Disidentes 8 p.m., then 10 p.m. karaoke. There is a $10 suggested donation and it will all happen at Relámpago at 140 Bimini Place (at L.A. Eco-Village) in Koreatown. Details at Facebook event. Sunday 4/7 – The L.A. County Bicycle Coalition will host its Sunday Funday San Fernando Historic Tour bike ride starting at 9 a.m. from Sylmar/San Fernando station at 12219 Frank Modugno Drive. Details at Facebook event. Sunday 4/7 – Active SGV will host a 626 Golden Streets Exploratory Ride starting at 10 a.m. at the South Pasadena Gold Line Station at 950 Meridian Avenue. Details at Eventbrite or Facebook event. Next week: Monday 4/8 and Wednesday 4/10 – Metro is holding two public meetings on planned 105 Freeway Express (toll) Lanes from the 405 Freeway to the 605 Freeway. Meetings will take place Monday from 6-8 p.m. at Rancho Los Amigos National Rehabilitation Outpatient Building at 7601 E. Imperial Highway in Downey, and Wednesday from 6-8 p.m. at Hawthorne Memorial Center at 3901 W. El Segundo Boulevard. Details at Metro project webpage. No on 6 rally, BiciParranda fundraiser, bike safety fair, Glendale art ride, and next week's Transit Oriented L.A.!